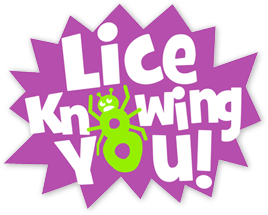 Since we opened in 2007, Lice Knowing You has been committed to serving the families of Beaverton. We understand the feeling of horror when you discover a louse in your child's hair. That's why our team is comprised entirely of licensed, experienced, and compassionate professionals who you can count on. Located just minutes from McKay and Vose Elementary Schools, Lice Knowing You Beaverton is a quick, reliable solution that will have your child back in school in no time. Don't waste time with at-home remedies - come into our Beaverton clinic for our guaranteed lice-free treatment. "LKY Beaverton was an amazing experience, kind staff, worth every penny for peace of mind." "If it wasn't for this place... I don't know what I would have done with my daughters. Great staff and they give their word by saying "lice and nit free from the first try" recommended if you need help for your kiddos or yourself." "Amazing experience, kind staff, worth every penny for peace of mind. Walked out of there with the weight of the world lifted off my shoulders!"